(Newser) – The beagle sat down next to the Canadian man at Toronto Pearson International Airport on Oct. 17, 2018, and the jig was up. 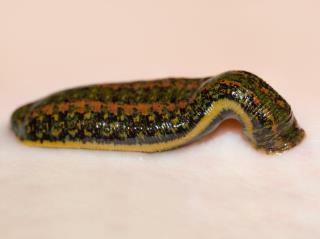 Clued in by the dog, officials searched the man's bags and found containers holding 5,000 leeches. National Geographic has the story, which it says hasn't been made public; as such, the name of the "alleged illegal leech importer," who has a court date Feb. 15 and was flying in from Russia when he was stopped, hasn't been released. But an intelligence manager employed by Canada's environmental department has the man's alleged story: that he planned to put the leeches to personal use and use their waste water on his orchids. The quantity suggests something else: that the plan may actually have been to find buyers for the parasitic worms, which can be put to "uses such as treating frostbite and helping with recovery from face lifts." The real leeches in the story are the institutions that tax and charge individuals for the freedom of travel, prosperity and personal medical healing.